If you’ve ever taken a typing class, you’ve probably heard about carpal tunnel. Carpal tunnel syndrome is the pain that develops along the inside of your wrist due to pressure on the median nerves within the carpal tunnel. 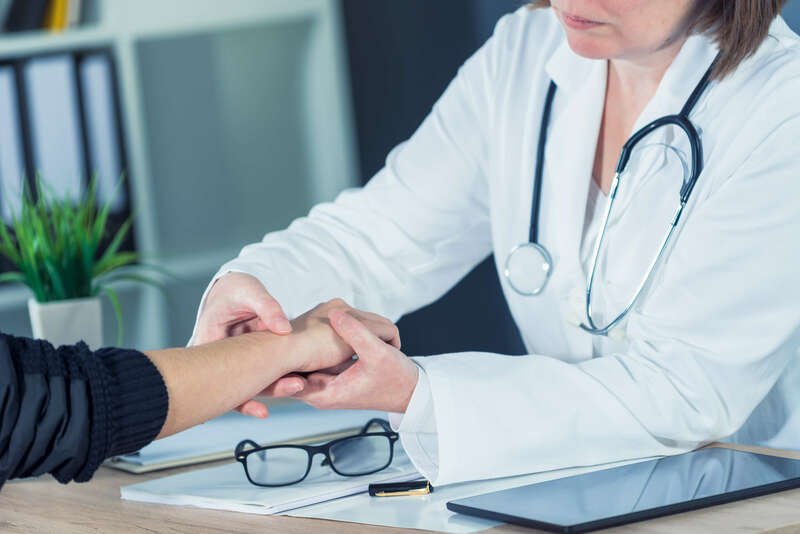 Sometimes, you can have pain in this area that goes away after a short time, but chronic cases of pain related to carpal tunnel syndrome require professional assistance. It’s important to be aware of the signs of carpal tunnel syndrome so you know when to seek professional help for your wrist pain. If these symptoms persist for long periods of time or make it difficult for you to live out your daily life, you should seek medical attention. Ignoring carpal tunnel syndrome can result in the development of a more serious condition or a permanent disability. Treatment for carpal tunnel syndrome varies depending on the severity of the condition and other factors like age, pre-existing conditions, medical history and personal goals. For an accurate diagnosis and complete treatment, your physical therapist may require you to get an x-ray and may order an electromyogram (EMG) test to monitor your median nerve. Are you ready to speak with a physical therapist at Advent Physical Therapy about your treatment options for carpal tunnel syndrome? Contact us today to schedule an appointment at one of our 13 locations across West Michigan.